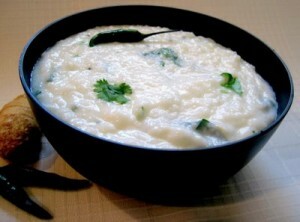 How Useful Is Curd As A Probiotic Food? A significant number of the world population is the victim of malnutrition. The perils of malnutrition has not made a distinction and has engulfed within it children and elderly alike. The children are the worst affected in the developing and under developed countries. Among the malnutrition cases, protein associated malnutrition is the most common. In the Indian subcontinent ~1/3 children suffer from the after affects of lack of protein in their diet which causes severe damage to the developmental progress in the age group. It is not that only the poorer section of the society suffers from such incomplete nutrition but a lack of knowledge about their diet makes the people from across society to face similar consequences. Lack of protein has been associated with the deficiency in innate immune responses like the ability to produce cytokines. How Do Probiotics Help Athletes? The athletes worldwide suffer from various injuries as well as microbial infections. They have to undergo excessive exercise and training regimens which lead to the wear and tear of the body parts. In order to be successful athletes, they need to recover quickly from such injuries. The hard training schedule also results in the disruption of balance of host-microbial interactions which are crucial for the maintenance of good health, the prerequisite for the maintenance of an athletic body and the related performance. This change in the gut microbiota results in altered immune responses which need to be resurrected. Recurrent cases of infection and compromised immunity leads to early fatigue affecting the performance of even the well trained athletes. Sports science today deals with the cases that has to do with the performance management and enhancement of the athletes. Available therapies for the maintenance of endurance and good health are the intake of drugs and the athletes often have to suffer from the stigma of failed dope tests. A good diet with the help of the beneficial activities of the probiotics can alleviate the problems of the athletes to a large extent. Scientists are now increasingly trying to find out various probiotic combinations that can provide fruitful solutions to the health problems and performance maintenance by the athletes in a natural way. It has been an established fact that long drawn training sessions can result in the suppressed release of secretory IgA. According to studies the occurrence of the respiratory tract infections of the swimmers can be correlated with the level of IgA that is prevalent in them during the pre- and mean- season trainings. The recurrences of EBV mediated infections have also been implicated with elite class swimmers under such circumstances. It is highly likely that the extensive exercises that follow the training regimens may lead to the perturbation of the regulatory effects of the T-cells. The therapeutic interventions have focused on the enhancement of the T lymphocyte mediated immunity. The athletes also suffer from the instances of quick fatigue that can be related to the altered beneficial microflora within the guts. The extra nutritious supplements needed in the diet of the athletes are not properly utilized due to the inefficiency of the human body to metabolize such indigestible food products. Therefore, the body remains deprived of the essential requirements under conditions of excessive work such as during the training periods. As a result of the alteration in the immune system they also suffer from the inability for quick recovery from any sustained injuries. It has also been noticed that some of the athletes are more prone to injuries than the others. The ones with susceptibility towards injuries must be stronger than the others in order to overcome the repeated cases of injuries. They may also be subjected to the intake of antibiotics more frequently thereby destroying their natural gut microflora. These incidences often cut short the career of many promising young sportsperson. A good diet with proper aiding beneficial microorganisms is now being contemplated to overcome these situations in the athletes. The effect of the probiotic strains in improving our health conditions is now beyond anybody’s doubt. However, the proper application of the specific strains that can alleviate the problems of infection, immune compromised situations, inability to recover quickly from sustained injuries and so on. The sports world can definitely benefit from a good knowledge of their effectiveness under specific case scenarios. However, the exact mechanism behind the ability of the probiotics in providing better endurance and capability to tolerate prolonged periods of strenuous training loads need to be justified through more of their applications. It has been found that the administration of L. acidophilus containing probiotic products can enhance the T-cell mediated response in the athletes with mucosal infection or under excessive training stress and a compromised T-cell immunity. The athletes who complain of fatigue with a fall in their performance graph are generally frequented with infections that result in reduced levels of IFNc secretion as compared to their healthy counterparts. A regular intake of L. acidophilus by the affected athletes resulted in the improvement in the level of IFNc in the blood to the level of the normal controls. 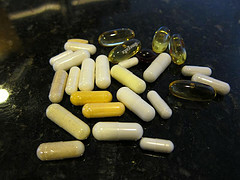 The male athletes who were in the habit of taking supplements containing Lactobacillus fermentum showed reduced incidences of the severity of the cases related to respiratory disorders, usage of medications for cold and flu as also gastrointestinal problems that have been reported earlier in sportsperson under excessive training loads. 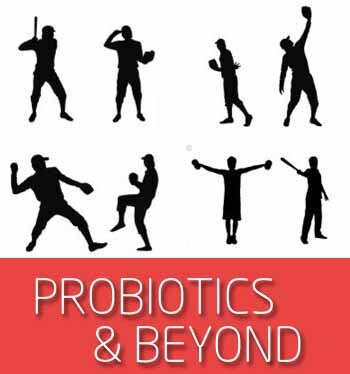 Majority of the health benefits provided by the probiotic strains in the athletes are mainly due to their capacity to alter and mend the perturbations in the immune responses. In female athletes, the studies so far are very paltry suggesting the need for further research for the application of probiotics in their cases. However, some of the few studies carried out so far provide good frequency of positive results in the alleviation of their problems by the use of probiotic products. In yet another study it was found that there was no difference in the improvement responses by the male and female athletes who were administered with the probiotic strains like L. fermentum. In either of the cases the probiotic supplements seemed to improve the balance of the crucial cytokines, the alterations of which has led to the growing reports of fatigue and loss of endurance among athletes. A near (20-60) % reduction in cytokine balance alterations has been reported among the athletes following regular probiotic supplements. According to a recent report published in the British Journal of Sports Medicine by a group of scientists at the Australian Institute of Sports, the intake of the probiotic strain L. fermentum orally can result in the enhacement of endurance among 20 elite male runners. The study also pointed on the benefits of reduction in respiratory complications upon the administration of the probiotic product. When analyzed immunologically, the athletes showed increased levels of the cytokine IFNγ which might as well play a big role in the outcome of the positive results obtained so far. There is significant research going on in the field of sports medicine to improve the health conditions in the athletes in order to increase their sports lives. The major focus of the scientific community is to find out strategies that would naturally intervene into the problems of the athletes with positive outcome. The probiotics could just be the answer to such efforts with negligible side effects. Filed Under: Questions Tagged With: Athletes? What is The Difference Between Taking Probiotics in Tablets, Capsules, Powder Sachets and Juices and Which Form is the best and most beneficial? Powder, capsule, juice, or yogurt: so many choices! 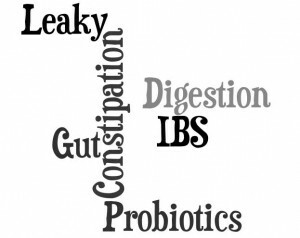 So, you have read about probiotics and know their benefits for everyday health and now you want to know how to take them? Whether you are interested in probiotics for building immunity and maintaining health, or you have a specific illness you are seeking relief from, it can be a challenge to wade through the literature and determine just how to get those friendly bacteria into your system again. In this article we’ll get to the bottom of sachets, tablets, capsules, and juices, and figure out what is the best method to get probiotics into your system. Capsules – one of the most common and convenient forms of probiotic supplements, capsules can be found both on the shelves or in the refrigerated section of your health food store. 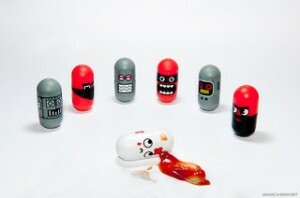 ConsumerLab.com provides some insight in to why some capsules are in the refrigerator and others are not: freeze dried organisms, which have become much more common, do not require refrigeration, if they are properly sealed, either in blister packs, or in specially sealed capsules. Those that are not handled in this way require refrigeration in order to protect the heat and moisture-sensitive organisms. In addition, certain probiotics, such as Bacillus coagulans and probiotic yeast strains are not heat and moisture sensitive, and do not require refrigeration. Capsules are one of the easiest forms of probiotics to take. Different brands contain different organisms and quantities, so it is important to read labels carefully to see what really comes in the bottle. Chewables – primarily for children, chewable tablets contain a variety of different organisms in a convenient, chewable format for those people who are not so fond of swallowing pills. Liquids – most likely you will find these in the refrigerated section of your health food store. That is because these probiotics are unstable in warm temperatures. Some people claim that liquid probiotics are the freshest and most potent form. Undeniably, they are an easy format, especially for people who can’t swallow pills. However, they become more of a hassle if you are out and about or travelling. Probiotic Drinks – from kefir water to probiotic juices, check out the shelves of your local grocery store and you are likely to find a number of bottles of drinkables that claim to have probiotics in them. Some forms are indeed valuable means of getting probiotics. Kefir water drinks, for example, are often considered a healthy means of getting naturally occurring probiotics. Again, though, it is important to check labels. Many of the juice drinks only contain a few (as in three or four) strains of probiotics, compared to the dozens of strains many quality capsule probiotic supplements contain. Powders – powdered probiotics are another common format for friendly bacteria. The great thing about powders is the ability to incorporate them into all kinds of substances, including juices, yogurt, applesauce, etc. So, now that you are aware of the different types of probiotics on the market, which one will give you the best return for your dollar? In other words, how do you gain the most benefit from supplementing your diet with probiotics? According to Dr. Oz, the most important factor to look for is whether or not the supplement contains “live and active cultures.” Really, in order for you body to benefit from probiotics, they need to be living. That means that formats that require refrigeration need to have been refrigerated. It also means checking labels for claims of content and expiration date. Has it been stored according to manufacturer’s recommendations? 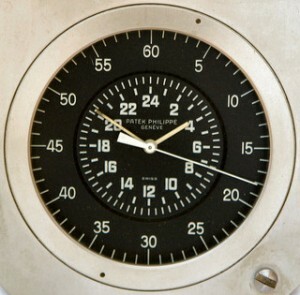 Does it show to be viable to a certain date, rather than just viable at production? What are the recommended uses? What is the quantity of organisms contain in each dose? Does it contain live, active cultures? Regardless of the format of the probiotic, the most important factor is that you are receiving potent, effective friendly bacteria. After all, who wants to spend money on something that does not deliver the promised benefits? What are Some Ways Vegans Can Get Probiotics? Although you may be convinced that probiotics are a great choice for your health, as a vegan, you may find it a bit difficult to include those healthy bacteria in your daily regimen. That is because many probiotics are grown in dairy products. The good news is there are several solutions for vegans including eating fermented foods, and some special, vegan-grown probiotic supplements. So, if you have already read articles on the benefits of probiotics for men, women, and children, but are wondering about vegan solutions, read on! Can Probiotics Help With Constipation? Constipation can be referred to as a condition of the digestive system wherein bowel movements are not frequent resulting in painful defecation. In most cases this might be a result of slower bowel movements as a result of which the colon absorbs too much of water from the food and turn it dry and difficult to pass out. Constipation may be a result of a low fibre diet, low liquid intake or dieting. 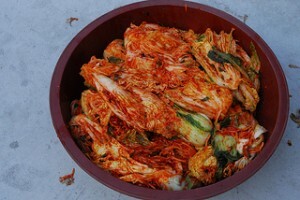 Probiotics have been used as a remedy against constipation. Doctors at University of Maryland Medical Center suggest use of probiotics in combating constipation. Can Probiotics Work In The Small Intestine? Great question so let’s tackle it step by step.